Walk through any Christian bookstore today, and you’ll find an array of books and products offering to help you be successful in every dimension and season of life. We have more tools and resources for our questions and hurts and needs today than any time in the history of the church. Why, then, do so many Christians live frustrated, defeated, empty, barren lives? Deep down, many of us long to experience a greater reality of God’s presence and power in our lives. 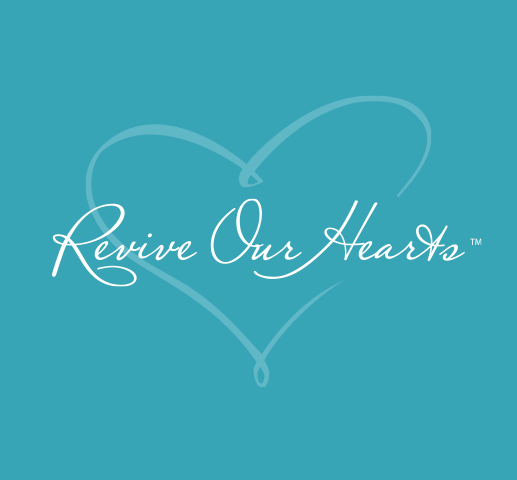 Our hearts need to be revived. But so few voices today are pointing us to the truth that will revive our hearts and set us free. and to revive the heart of the contrite” (Isa. 57:15). Yet, the Scripture says, God has another “address,” and I find this one astounding. He lives with those who have a humble and contrite spirit. He is attracted to those who have a broken, contrite spirit. Psalm 51 is the heartfelt, penitent prayer written by King David after he committed his great sin with Bathsheba. He realized that there was absolutely nothing he could do to earn his way back into God’s favor (v. 16). Have you ever noticed how many people feel they need to jump through some sort of spiritual hoops to earn God’s favor? David understood that God wasn’t looking for religious acts or devout behavior. The only offering God really wanted was a humble, contrite heart. “The sacrifices of God are a broken spirit; a broken and contrite heart, O God, you will not despise” (Ps. 51:17). Jesus began the first recorded sermon of His earthly ministry on this same theme: “Blessed are the poor in spirit”(Matt. 5:3). Jesus was talking about how to experience true joy—how to be happy. He explained: by being poor. Now in today’s world, if we were asked to suggest ways to be blessed, I’m not sure we would have started in that particular place. But Jesus came to introduce a whole new economy—a radically different way of thinking about life. In the Greek language in which the New Testament was originally written, there are two words Jesus could have chosen to speak of someone being “poor.” The first word suggests someone who lives just below the poverty line, someone who is always having to scrimp and scrape to survive, someone who makes it, but barely. That is not the word Jesus chose. He used another word that means a beggar—a person who is utterly, absolutely destitute. This beggar has no hope of surviving unless somebody reaches out a hand and pulls him up. What is Jesus saying? Blessed are the beggars—those who recognize that they are spiritually destitute and bankrupt. They know that they have no chance of survival apart from God’s intervening mercy and grace. Our culture is obsessed with being whole and feeling good. That drive even affects the way we view the Christian life. We want a “painless Pentecost.” We want a “laughing” revival. We want gain without pain; we want the resurrection without going through the grave; we want life without experiencing death; we want a crown without going by way of the cross. But in God’s economy, the way up is down. Draw near to God, and he will draw near to you. Cleanse your hands, you sinners, and purify your hearts, you double-minded. Be wretched and mourn and weep. Let your laughter be turned to mourning and your joy to gloom. Humble yourselves before the Lord, and he will exalt you (James 4:8–10). As is true in so many other areas, our idea of brokenness and God’s idea of brokenness are usually quite different. Brokenness is the shattering of my self-will—the absolute surrender of my will to the will of God. Brokenness is the stripping of self-reliance and independence from God. Brokenness is the softening of the soil of my heart—it is the breaking up of any clods of resistance that could keep the seed from penetrating and taking root. Brokenness in the life of a believer has both a vertical and a horizontal dimension—it goes two ways. For our hearts to be revived, the roof must come off (brokenness toward God) and the walls must come down (brokenness toward man). God’s richest blessings come only through brokenness. Adapted from Brokenness: The Heart God Revives © 2002 Nancy DeMoss Wolgemuth. Published by Moody Publishers. Used with permission.